The DOD Meatbox Bass Guitar Effects Pedal is a bass guitar effects pedal, featuring a sub synth, with an interactive EQ and tone sculpting, true bypass, and a lightweight aluminium chassis. Answering the call of low frequency freaks everywhere, the DOD Meatbox (2015) is an updated take on the cult favourite Meatbox from the ‘90s. As a bass subharmonic synthesizer and low-end enhancer, the Meatbox can produce a range of sounds from a slight thickening to a full-on, low-end assault! Use the Meatbox on bass guitars, extended-range guitars, synths, even drum machines and push all the air out of any room. If you’re looking for a new way to move your audience, look no further. More than just a low frequency boost, the DOD Meatbox (2015) can also cut frequencies for tone sculpting as an interactive EQ and even produce distortion depending on where the output level is set. 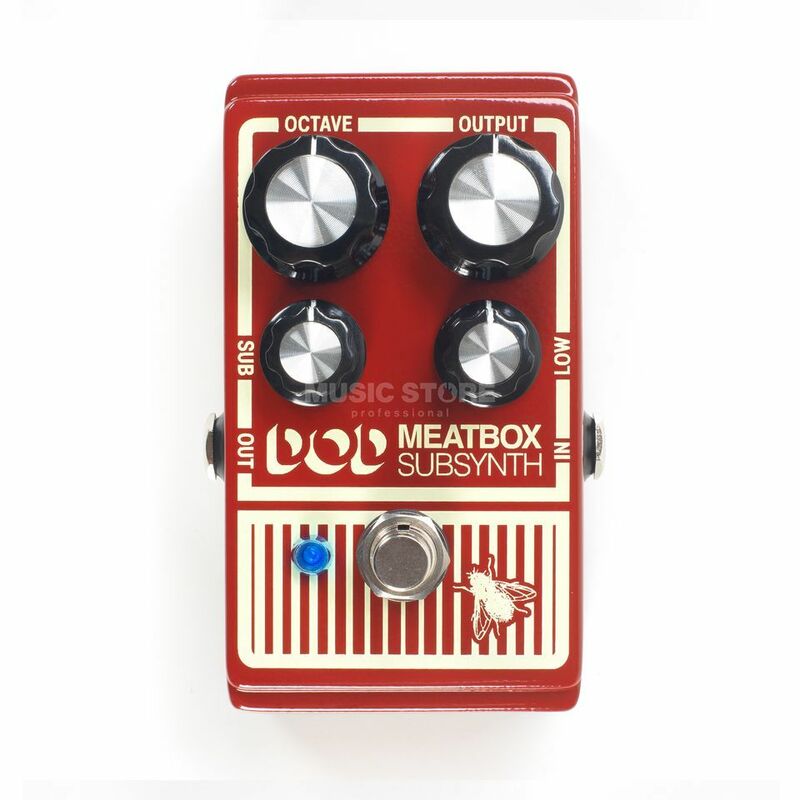 The DOD Meatbox (2015) offers independent Octave, Output Level, Subharmonic and Low Frequency controls. True bypass allows your tone to remain pristine even when the DOD Meatbox is off. This is a big difference from the original, which would colour your bypassed tone. The modern 9V DC power supply input makes the pedal more pedalboard friendly.